Being an athlete isn’t about what sport you play. It’s who you are. We know this, not just because the Bon Secours Physical Therapy and Sports Medicine team members are excellent physicians and physical therapists, but because we are athletes, too. Millions of Americans exercise and play sports everyday. Some of us like a stroll in the park. Others prefer a competitive softball game or the demands of a marathon. Naturally, injuries often occur with these activities. Sometimes, a runner hits a pothole, a weightlifter uses bad form or a basketball player stops and turns too quickly. No matter how an injury occurs rapid treatment always is the smart choice. For athletes of all ages, Bon Secours Sports Medicine is an excellent place to receive the care and advice you need when you need it. Our doctors are skilled and experienced in dealing with every sort of sports-related injury from sprains and strains to breaks and tears. We use state-of-the-art equipment and procedures for diagnosis, treatment and recovery. We understand, too, that women are more prone to certain athletic injuries, particularly in the shoulders and knees, than men. For example, female athletes are two to eight times more likely than men, depending on the sport, to suffer an anterior cruciate ligament (ACL) injury. The NCAA estimates that 10 percent of all women athletes will hurt their ACL. Likewise, women are two to three times more likely than men to experience adhesive capsulitis, commonly known as “frozen shoulder.” We know exactly what to do in these cases and similar ones, and can advise patients how to avoid them in the future. Physical therapy plays a special role in sports medicine. So, we make sure that, when needed, patients work with therapists to regain strength, stability and mobility. When it comes to sports medicine, Bon Secours Sports Medicine is a natural choice for injured athletes who want to get up on their feet and back in the game as quickly as possible. Dr. Bala attended James Madison University for his undergraduate degree. 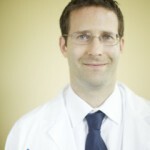 He received his medical degree from the University of Silesia Medical School located in Poland and completed his family medicine residency at Bon Secours St. Francis Family Medicine Residency Program in conjunction with Virginia Commonwealth University. 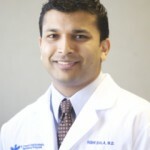 Dr. Bala is board certified in family medicine and sports medicine. 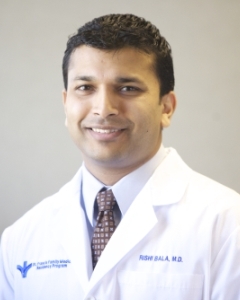 Dr. Bala completed a sports medicine fellowship from Fairfax Family Medicine Residency and Sports Medicine. Dr. Bala has worked with the Washington Redskins, the Washington Nationals, the Richmond Kickers, multiple collegiate teams and high schools as the team doctor. Dr. Roberts attended Mary Washington College for his undergraduate degree. He received his medical degree from Virginia Commonwealth University’s Medical College of Virginia. He then completed a family medicine residency and sports medicine fellowship at Duke University Medical Center, where he worked as one of the team physicians in the sports medicine department and urgent care prior to joining Bon Secours. Dr. Roberts is board-certified by the American Academy of Family Physicians and the American Medical Society for Sports Medicine. He currently serves as our Sports Medicine Fellowship Program Director, and serves as team physician for the Washington Redskins Training Camp, the Richmond Kickers, and VCU. 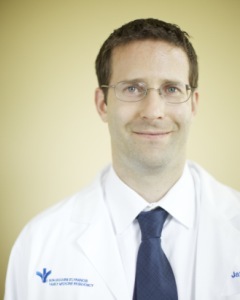 Dr. Roberts also serves as Medical Director for the Monument Avenue 10k. If you’d like more information, you can contact us today! Learn more about our Sports Performance programs.